Radical Sitting, Hidden Experiments in Seating Furniture 1900–1990 brings together a time axis of 25 various pieces of seating furniture from the whole world. 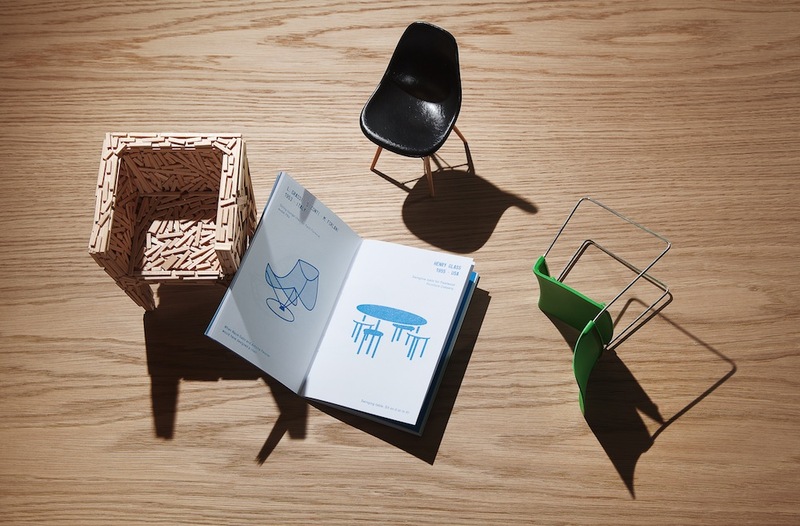 Chairs, armchairs, stools, chaise longues, and sofas tell stories of designers and artists and their perpetual urge to experiment and make formal or functional innovations in the field of sitting. Thus, our selection introduces clear historical contexts into the current exhibition project by the Depot Basel gallery and strives to present lesser known designer works, which not only enrich our knowledge in the field of applied arts, but also stir inspiration in contemporary designers who look for the new, undiscovered, unconventional, and experimental as their predecessors did. Last but not least, our brochure should serve the designers themselves – they could use it as a “source book” for their production and find, with a little help, the right path to set out on. 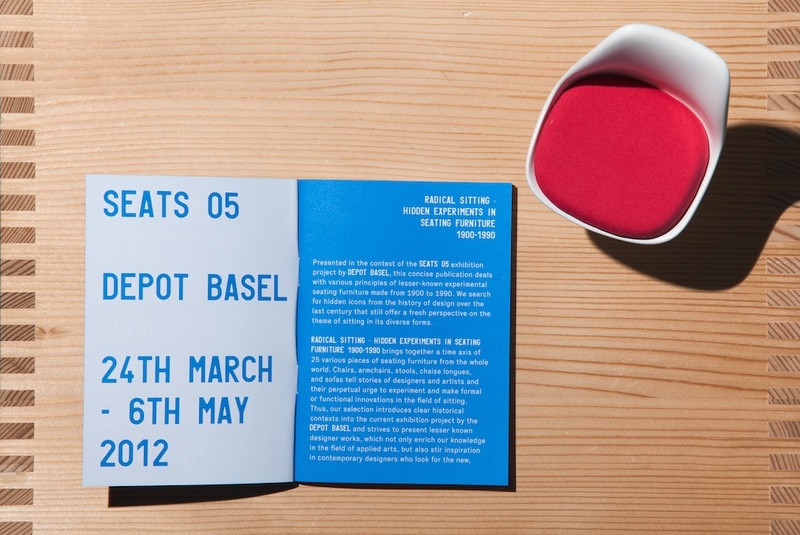 The rear part contains several empty pages that function as a notepad. If you take interest in something from our selection or find inspiration in it, you can immediately make notes. 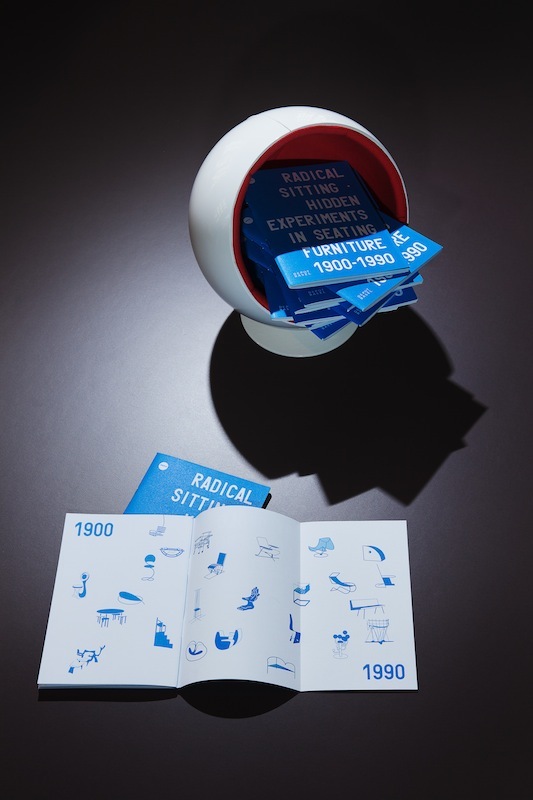 Radical Sitting, Hidden Experiments in Seating Furniture 1900–1990 is far from aspiring to create a comprehensive study on radical seating furniture. 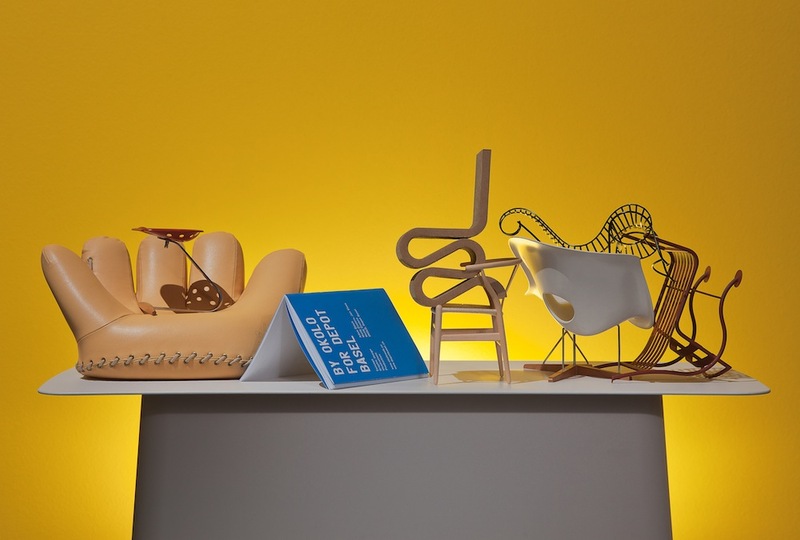 On the contrary, it outlines an unknown history to current professionals and laypersons, creates contexts, and at the very least, presents truly unique designer works that deserve our attention.